I’ve been doing quite a lot of work around Geographical Information Systems recently. So I thought I should get some background understanding to avoid repeating the mistakes of others. 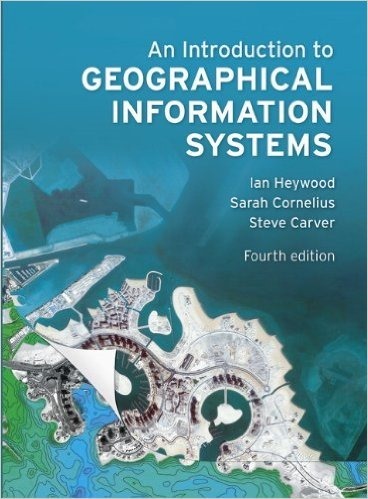 I turned to An Introduction to Geographic Information Systems by Ian Heywood, Sarah Cornelius and Steve Carver, now in its fourth edition. This is an undergraduate text, the number of editions suggests it to be a good one. The first edition of Introduction was published in 1998 and this shows in the content, much of the material is rooted in that time with excursions into more recent matters. There is mention of CRT displays and Personal Data Assistants (PDA). 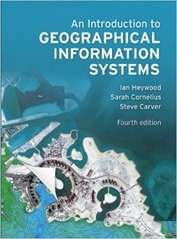 This edition was published in 2011, obviously quite a lot of new material has been added since the first edition but it clearly forms the core of the book. I quite deliberately chose a book that didn’t mention the latest shiny technologies I am currently working with (QGIS, Open Layers 3, spatial extensions in MariaDB) since that sort of stuff ages fast and the best, i.e. most up to date, information is on the web. GIS allows you to store spatially related data with the ability to build maps using layers of different content and combine this spatial data with attributes stored in databases. Early users were governments both local and national and their agencies, who must manage large amounts of land. These were followed by utility companies who had geographically distributed infrastructure to manage. More recently retail companies have become interested in GIS as a way of optimising store location and marketing. The application of GIS is frequently in the area of “decision support”, along the lines of “where should I site my…?” Although, “how should I get around these locations?” is also a frequent question. And with GPS for route finding arguably all of us carry around a GIS, and they are certainly important to logistics companies. From the later stages of the book we learn how Geographic Information Systems were born in the mid to late 1960s became of increasing academic interest through the 1970s, started to see wider uptake in the eighties and became a commodity in the nineties. With the advent of Google Maps and navigation apps on mobile phones GIS is now ubiquitous. I find it striking that the Douglas-Peucker algorithm for line simplification, born in the early seventies, is recently implemented in my favoured spatially enabled database (MariaDB/MySQL). These spatial extensions in SQL appear to have grown out of a 1999 standard from the OGC (Open Geospatial Consortium). Looking at who has implemented the standards is a good way of getting an overview of the GIS market. The book is UK-centric but not overwhelmingly so, we learn about the Ordnance Survey mapping products and the UK postcode system, and the example of finding a site for a nuclear waste repository in the UK is a recurring theme. Issues in GIS have not really changed a great deal, projection and coordinate transforms are still important, and a source of angst (I have experienced this angst personally!). We still see digitisation and other data quality issues in digitized data, although perhaps the source is no longer the process of manual digitization from paper but of inconsistency in labelling and GPS errors. One of the challenges not discussed in Introduction is the licensing of geographic data, this has recently been in the news with the British government spending £5 million to rebuild an open address database for the UK, having sold off the current one with the Royal Mail in 2013. (£5 million is likely just the start). UN-OCHA faces similar issues in coordinating aid in disaster areas, the UK is fairly open in making details of administrative boundaries within the UK available electronically but this is not the case globally. I have made some use of conventional GIS software in the form of QGIS which although powerful, flexible and capable I find slow and ugly. I find it really hand for a quick look-see at data in common geospatial formats. For more in-depth analysis and visualisation I use a combination of spatial extensions in SQL, Python and browser technology. I found the case studies the most useful part of this book, these are from a wide range of authors and describe real life examples of the ideas discussed in the main text. 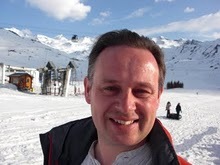 The main text uses the hypothetical ski resort of Happy Valley as a long running example. As befits a proper undergraduate introduction there are lots of references to further reading. Despite its sometimes dated feel Introduction to Geographic Information Systems does exactly what it says on the tin.